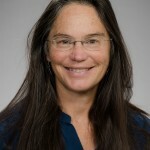 But the idea that scientific reason and religious faith are somehow at odds with each other “is, in my view, a false dichotomy,” said the University of Washington professor of Earth and space sciences. In a new book, “The Rocks Don’t Lie: A Geologist Investigates Noah’s Flood” (Aug. 27, 2012, W.W. Norton), Montgomery explores the long history of religious thinking – particularly among Christians – on matters of geological discovery, from the writings of St. Augustine 1,700 years ago to the rise in the mid-20th century of the most recent rendering of creationism. “The purpose is not to tweak people of faith but to remind everyone about the long history in the faith community of respecting what we can learn from observing the world,” he said. 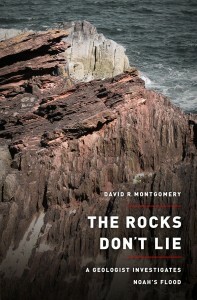 The cover of “The Rocks Don’t Lie: A Geologist Investigates Noah’s Flood” features a photograph of Siccar Point, near Edinburgh, Scotland, the birthplace of the concept of geologic time. Though there are notable conflicts between religion and science – the famous case of Galileo Galilei, for example – there also is a church tradition of working to reconcile biblical stories with known scientific fact, Montgomery said. “What we hear today as the ‘Christian’ positions are really just one slice of a really rich pie,” he said. For nearly two centuries there has been overwhelming geological evidence that a global flood, as depicted in the story of Noah in the biblical book of Genesis, could not have happened. Not only is there not enough water in the Earth system to account for water levels above the highest mountaintop, but uniformly rising levels would not allow the water to have the erosive capabilities attributed to Noah’s Flood, Montgomery said. Perhaps the greatest influence in prompting him to write “The Rocks Don’t Lie” was a 2002 expedition to the Tsangpo River on the Tibetan Plateau. In the fertile river valley he found evidence in sediment layers that a great lake had formed in the valley many centuries ago, not once but numerous times. Downstream he found evidence that a glacier on several occasions advanced far enough to block the river, creating the huge lake. “To learn that the locals knew about it and talked about it for the last thousand years really jolted my thinking. 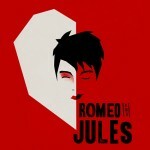 Here was evidence that a folk tale might be reality based,” he said. But he noted that in some regions of the world – in Africa, for example – there are no flood stories in the oral traditions because there the annual floods help sustain life rather than bring destruction. He describes that hike in detail in “The Rocks Don’t Lie.” He also explores changes in the understanding of where fossils came from, how geologists read Earth history in layers of rock, and the writings of geologists and religious authorities through the centuries. Montgomery hopes the book might increase science literacy. He noted that a 2001 National Science Foundation survey found that more than half of American adults didn’t realize that dinosaurs were extinct long before humans came along. “If you think you know everything, you’ll never learn anything,” he said. For more information, contact Montgomery at 206-685-2560 or dave@ess.washington.edu.